Ship from Hongkong. 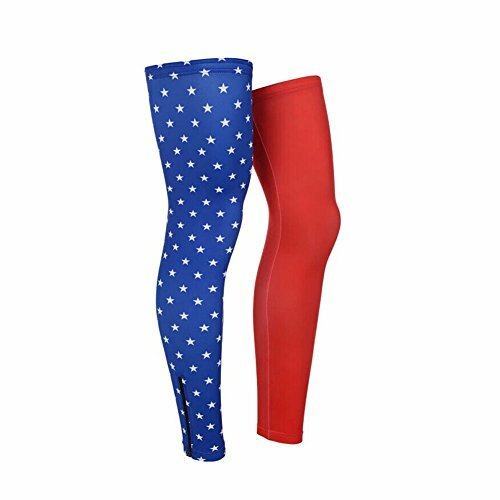 The leg sleeves are mainly made of Lycra fabric of high elasticity. This kind of fabric has two properties. Fist, its high elasticity can protect the leg muscles. Second, the fabric is fine and smooth and can protect you skin from gazed when cycling. This leg warmer is great for bike cycling. They protect your leg from sunlight an waterproof, flexible and breathable when cycling. 1/2 top line 22CM; Length 67CM; 1/2 bottom line 10.5CM. Recommended Use: cycling, training, racing. Provide vital protection from the elements by anti-ultraviolet and Breathable.